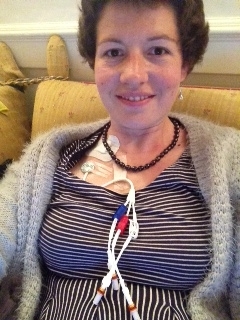 You have a very patriotic Hickman line with its red white and blue clips. Very impressive I have only seen single and dual lumen ones before. Hi. Good luck tomorrow. I had very similar treatment from Southampton in 2005 for Hodgkins – only difference is i used my own stem cells. I got the best possible care and couldn’t have been in a better place. 10 years on I am doing fine. Hi, this is Aussie Liz from ward F over Xmas. Have often wondered how you are doing. Best of luck for the coming weeks. Good that you had a few months of ‘respite’ before this starts. I look forward to further good news. Thanks so much for the message- it is very nice that you have found me here!! I hope that you are doing well. good luck Kate! Thinking of you from afar and always sending you love and hopes for a swift and full recovery. You can do it!!!! Wishing you all the best in this long journey – not only for the next couple of weeks but beyond – keep strong. We are all thinking of you.